WebGoonies.com - Yo Gabba Gabba! Written on November 6, 2008 by Kevin. 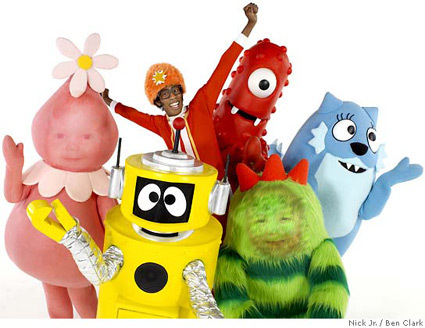 One of the kid's favorite show right now is definitely Yo Gabba Gabba. Rylan spent a bit of his money earned from his sales to purchase the show DVD. They both love dancing to the songs and Rylan is really getting good at singing along with them as well.